It is the start of a new year. Many friends have been posting their new year’s resolutions on Facebook. I believe in having goals and working towards them but somehow, like many people, I have not been very successful in keeping my new year’s resolutions. This year, I decided to make only ONE resolution. One that sounds too simple and almost silly to make it as a New Year’s resolution. Before you jump in to tell me how I should not be lazy (my mum would), I am not referring to being a beach bum, not finding employment or inactivity. The concept of ‘doing nothing’ sounds good to many people but something that many fail to do, especially Asians (and women). Many of us are so used to being too busy and doing too much. Learning to do ‘nothing’ or finding the joy and sweetness to just do nothing sound like an impossible task. Doing nothing is not inactivity. “Sit” around is a verb, so is “Smell” the roses but how many of us are actually doing that? I read a great article in ELLE magazine asking readers when was the last time you really take a day off to sit on your couch, with a nice cup of coffee, read a good book and not feel guilty about not cleaning the house, not running errand, not attending to last minute work emails and just give yourself a day to just ‘be with yourself” and “do nothing much?” The article went on to say that women are prone to suffer from guilt for taking time off for themselves. For a long time, I had been so busy with work and when I had a day off, I also had a long ‘to-do’ list – “go for gym training, go to the bank, reply ‘urgent’ emails, pick up groceries, meet up friends for dinner etc” Before I know it, the day off was gone and I was tired and upset that I didn’t get to REST! Recently, due to various reasons, I decided to take a break from work (I realised it was a great decision I made in 2010). A part of me is so eager to find the next new exciting role, especially when great friends and contacts are enthusiastic about sharing work opportunities. The wiser bit of me is persuading myself to just take some time off to breathe, enjoy this rare period when I can truly do the things I have always wanted to do but always too busy to. I am convinced that doing nothing takes more effort and more determination than to rush around and doing many things. I am not saying that my goal is not to work so that I can master the art of doing nothing, what I am saying is, I want to learn to find the joy in resting and taking absolute pleasure in idling some times (even if it’s just spending 15mins each day after work lying on my bed, staring at the ceiling and not feel guilty that I’ve not updated this blog or not reply to my work emails). My pastor often reminds us of a great revelation he shared about the topic -“restful increase.” Key words – Rest and you’ll find the Increase. I am not going to preach here (follow the link if you want to read more about what Pastor said…). 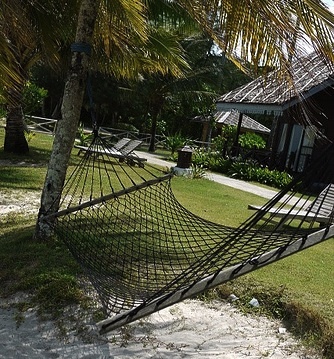 So, today marks the start of my new year resolution – in search of la dolce far niente. The next time you see me stressed and rushing around doing 1001 things, you know what to tell me! This entry was posted in Life Stories, Travel and Events by Priscilla Tan. Bookmark the permalink. I’m on my usual catch-up-with-friends-by-leaving-a-smart-alecky-comment-routine. Man oh man! I wish I can be you! Something that’s always on my mind is the act of not doing anything and just enjoying the pleasure of floating and dreaming and being blank. I’ve come to realise – everyone wishes to do NOTHING but when they actually have the time, it’s hard for them to really do that. It takes effort to really try to enjoy every moment and just REST. I have to remind myself that, one day when I start my busy work life, I’ll look back and regret if I am not making full use of my days now to relax and chill!! !